It’s my go to food to feel better when I am feeling stressed. I tend to buy ‘proper honey’. By this I mean honey from my local Greek or Turkish shop that doesn’t have any rubbish thrown in, or honeycomb that just melts in your mouth. 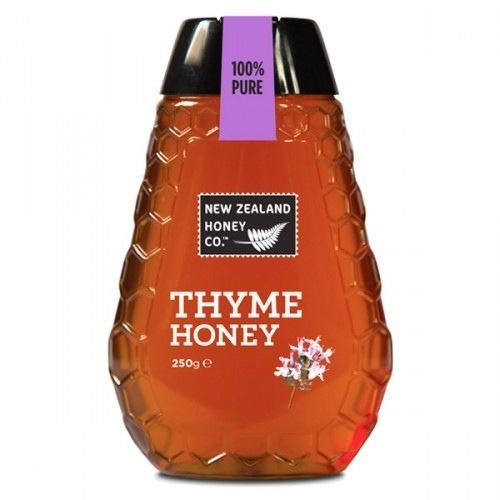 But for baking that can get rather expensive so I am very pleased to have discovered a great range of honeys from The New Zealand Honey Company. I was given this Antioxidant Thyme Honey to try and now I am hooked – not least because I love honey but because I have also discovered the herb thyme only in these last few years. It comes from a single species of thyme that grows wild in the remote and rugged Central Otago Mountains of New Zealand’s South Island. It was brought to New Zealand by the Chinese – miners in fact who had come to take advantage of the Gold Rush in the 18th century. During the Spring, the sides of the mountains are abundant with purple thyme flowers. This is when this unique honey is produced by the bees nurtured by The New Zealand Honey Company. It is therefore seasonal and available around December time though of course in this day and age of supermarkets, you will find it in Waitrose and Holland and Barratt while stocks last. The taste is quite herby and some would say pungent almost because it’s not just the sweet taste you link honey too. There is an underlying flavour which works really well with cheese and crackers but equally well on toast or crumpets with some fresh thyme. I use it in Bircher Muesli too so I would say I soak up the antioxidant properties about 3 times a week. Are you a fan of honey? 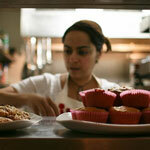 Have you experimented with different flavours? I too love honey and only recently realised that acacia honey is only 32 on the GI index, as opposed to 80 something for other honeys. Anyhoo, this honey sounds divine and worth getting. I will put it on my Waitrose shopping list. I quite like orange blossom honey (reminds me of my Florida childhood) but find chestnut too strong for me. ooh I love the sound of this. I just recently made a lemon and thyme loaf it was delicious so I can imagine thyme honey is amazing! I love the idea of the honey & thyme flavours with cheese. You’ve just reminded me how I really want to get some bee hives in our garden, it would be so brilliant for the fruit trees and veggies and how wonderful to have honey flavoured by our own herbs & wild flowers. Although we don’t quite have mountain sides covered with purple thyme flowers! How lovely that sounds. That would be lovely wouldn’t it? I am a bit scared to keep or encourage bees to be honest because the girls are still so little.